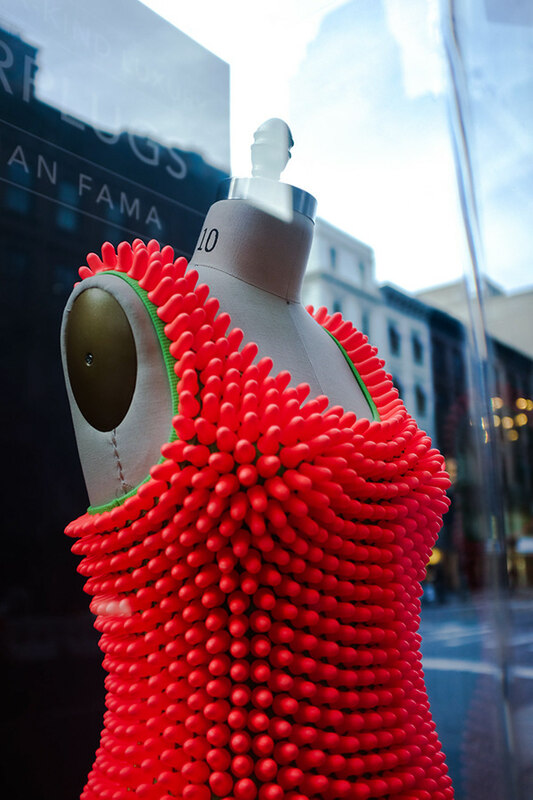 Create a fashion item using one found object to make a one of a kind fashion statement. 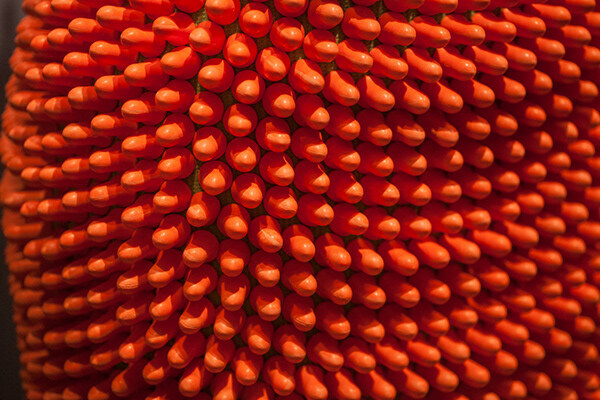 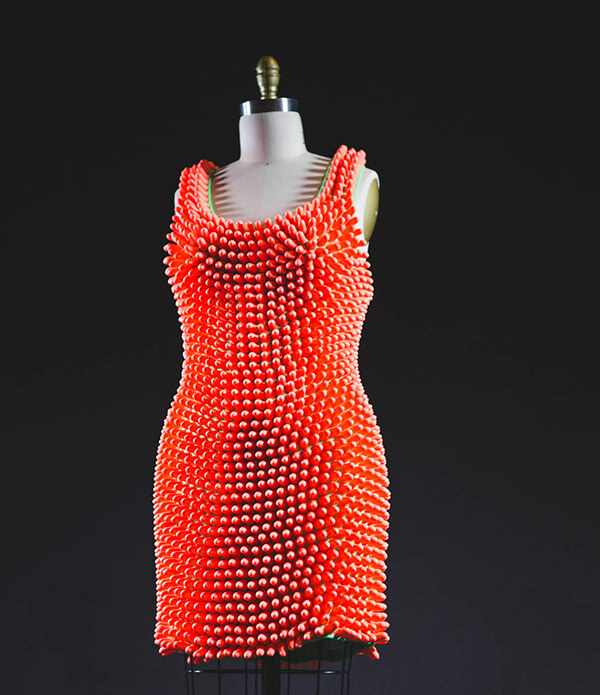 2,528 foam earplugs were used in the making of the dress. 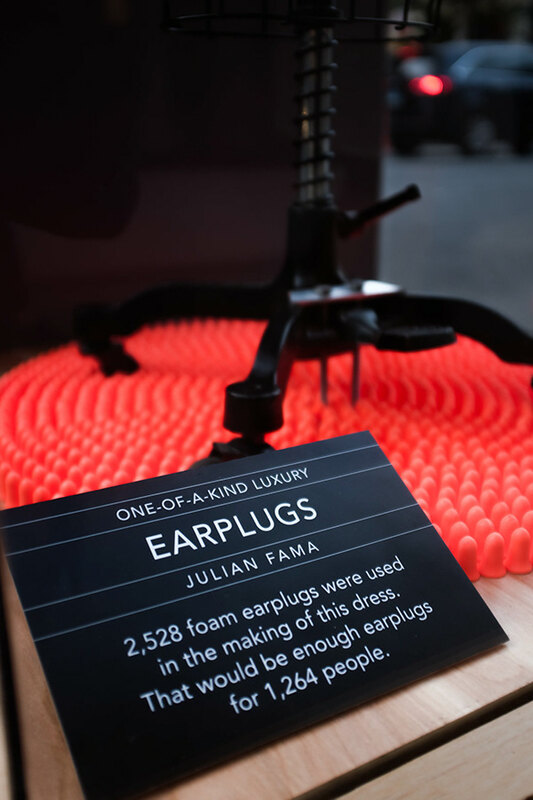 That would be enough earplugs for 1,264 people. 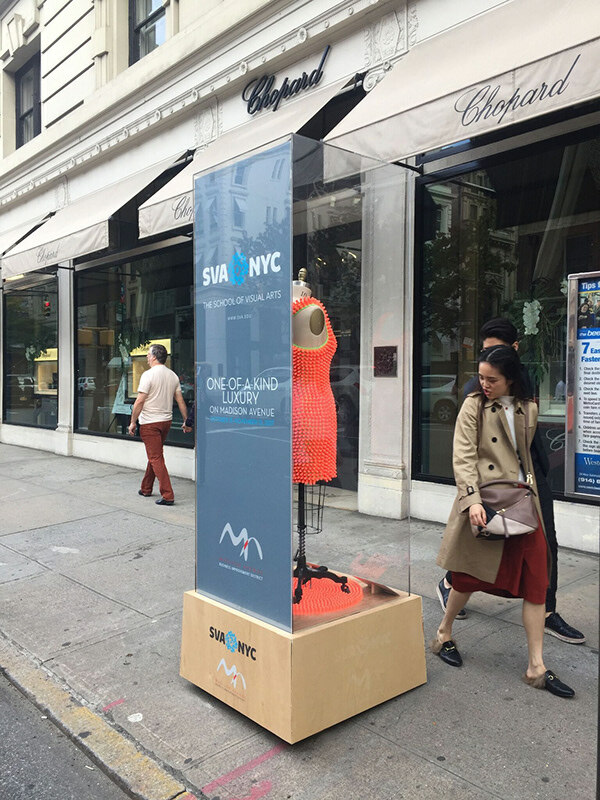 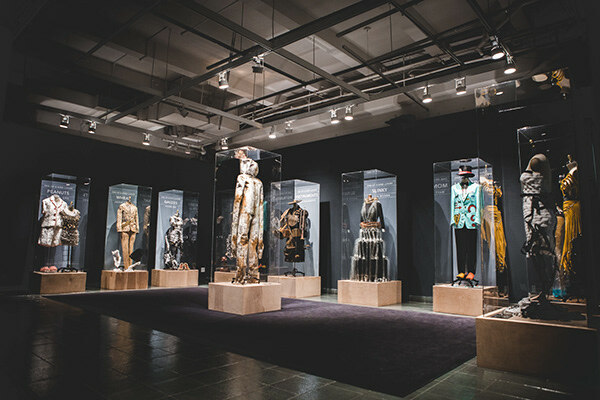 It was featured in the 3D Design exhibitions “One Of A Kind Luxury on Madison Avenue” & “One Of A Kind: The Dresses Of Madison Avenue”. 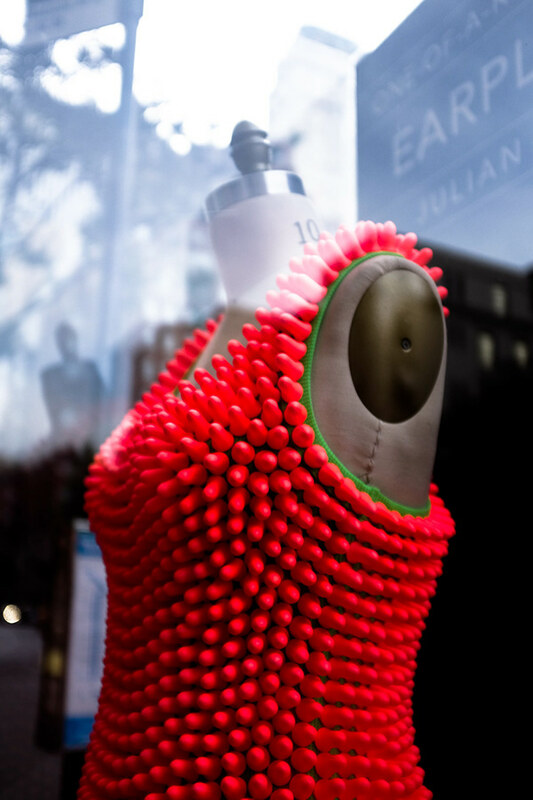 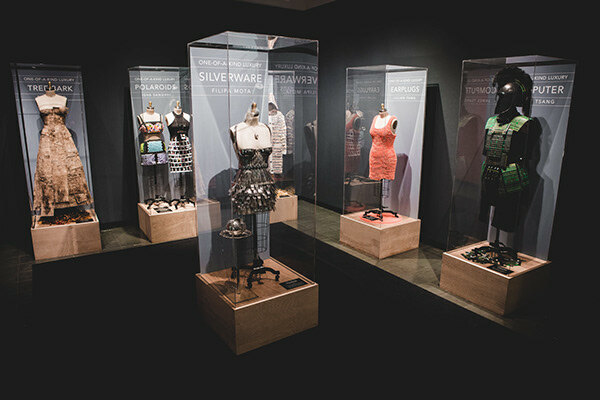 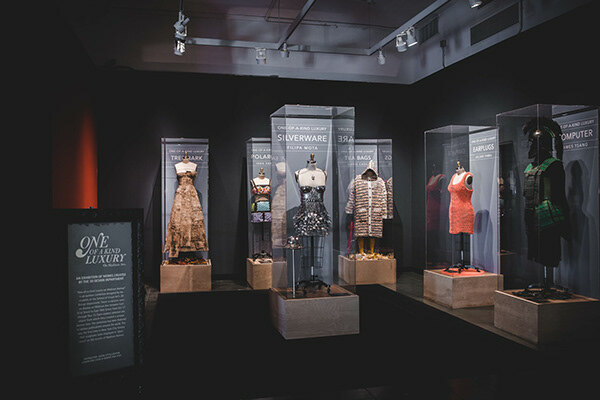 Our work was featured in inside tall glass cases along Madison Avenue for a month. 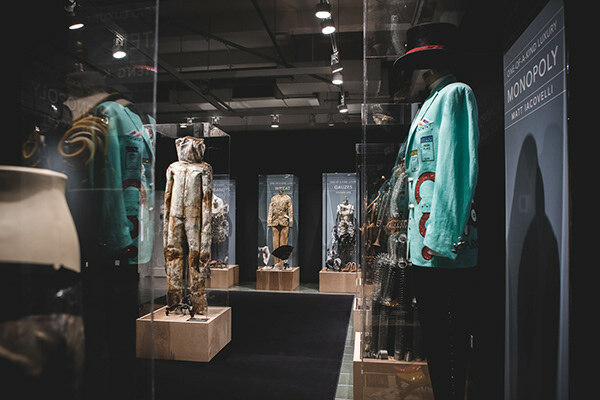 This was the first time in New York City history that sculptures were showcased in glass cases along the streets of Madison Avenue.